Missed the last ACDI webinar? Watch our recordings to learn all about #mobility printing! | Industry Analysts, Inc. Missed the last ACDI webinar? 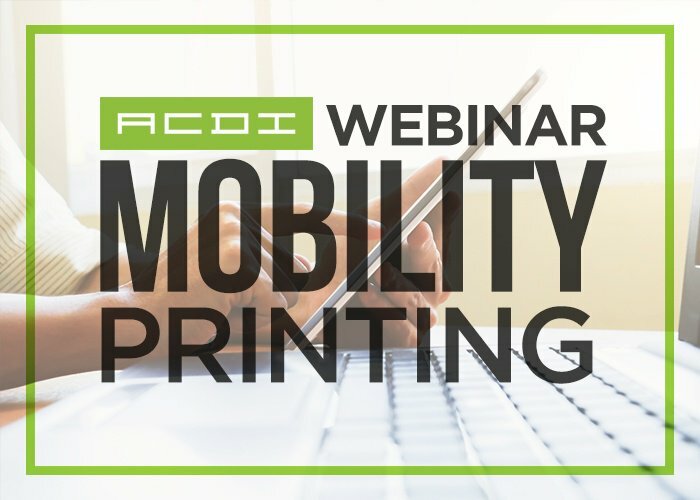 Watch our recordings to learn all about #mobility printing! 94% of decision makers in healthcare are likely to recommend copier vendors that offer secure software or hardware solutions.